April is the month where testing is on our minds. In honor of the testing month of April I am going to share some tips that have helped me tackle the days of testing. This is actually one of my favorite times of the year. Ask for donations of Ticonderoga pencils. 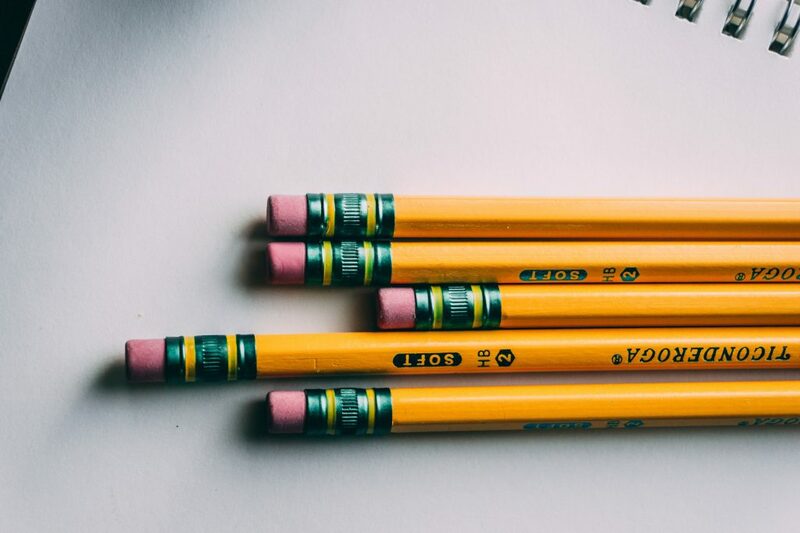 Parents will send you all different kinds of pencils, but save your Ticonderoga’s for testing time. After years of listening to the whine of the pencil sharpener, I just put this in my wish list at the beginning of the year. Ticonderoga’s are usually on sale in August and September and my parents will usually provide me with plenty of pencils at this time. Testing time is not the time for the cheap, decorated, dollar pencils. A lot has changed since I started teaching. We used to use the standard bubble sheets and No. 2 pencils, but we now have computers to complete testing. We just started computerized testing last year, and we definitely had some challenges. If testing starts at 8:30, then start the computers 20-30 minutes before. While the computers are starting, (don’t let the students leave until they start the computer), have the students go to the bathroom, get drinks, set up their desk for the test. Have extra computers on the charger turned on in case a laptop dies during the test. Does allergy season begin the day testing starts? Does someone roll the tests in pollen before they are delivered to the school? The minute the test gets delivered to their desks and everyone gets settled the sniffling begins. I have 8 boxes ready to go that can be delivered to student desks. In fact, in my class if your nose is running my students just put a tissue box at their desk. There is nothing worse than watching a student use their sleeve because they feel they can’t get up. As you get ready for testing in the morning give yourself a little treat by setting up a grading station to grade your papers. The treat is at the end of the week, you don’t have to bring any grading home! Before school starts on the testing day I set up 2 areas ready for grading. One is in the back of the room, and the other is at my desk. My grading station has the papers piled with the answer key. As you are walking the room sit for a while and do a little grading then rotate around to the next grading station. Your students are done with the test and all the other classes around your are still working. Ugggh! How do I keep these kids quiet! I usually plan a quiet activity that my student’s can do that is educational and fun. 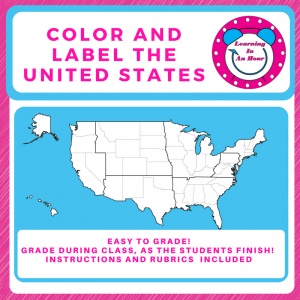 For 13 years, our big project in 5th grade is to Color and Label the United States. This is a great review before State Reports are assigned. This lasts for the whole week of testing, and they can use the computer or Atlas Book to help them complete the map assignment. I have added this as a free download on my Teachers Pay Teachers site. I size the United States on a legal size paper and run it through the copier.